This is the first post of a few to come about our four days in beautiful Scotland. After less than two hours flight time, we arrived in Edinburgh before 7.15 am on a Tuesday morning. Coming from warmer temperatures in Hanover, we were greeted with a fresh breeze and clouds. 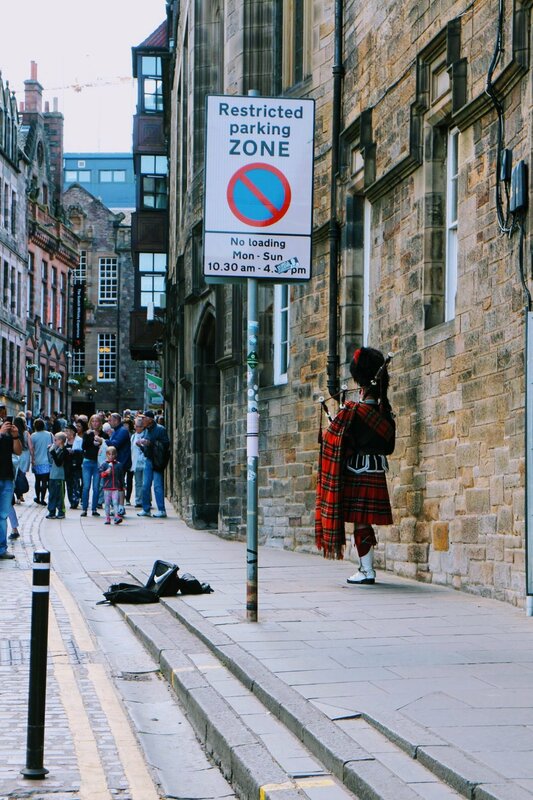 Welcome to Edinburgh -- where Scotland meets the world. Scottish weather was awaiting us and we were ready to go - after we checked into our Airbnb (use this link for a discount!) and found ourselves some hearty breakfast that was, of course. Thirty minutes later and 9 pounds lighter - we’re talking about Scottish currency here, to avoid any misunderstandings - we were on the Skylink 300 towards the city. Morning commuters were on the road and so it took a little less than an hour until we „alighted“ the bus at Dundee Terrace, Merchiston area, where we just had to cross the street in order to arrive at our cute one-bedroom Airbnb for the next four nights. It was 9 am. We had a whole day ahead of us. Time for breakfast. We both started to get hangry. Our good friend who lives in Edinburgh recommended a few places to eat and so we ended up at this very charming and utterly delightful little breakfast place a stone’s throw away from our flat, called Piecebox. As we walked in, we experienced the warm Scottish hospitality right away. We ordered hot chocolate, a mocha, fried eggs, pancakes, bacon, and real „porridge“ with fresh fruit and honey greek yogurt on the side. If that doesn’t sound like a good start to the day, I don’t know what does. Full and happy, we left with a spring in our step. The bus system in Edinburgh is very convenient. Bus stops are close by and buses arrive every few minutes. A day ticket costs 4 pounds; a single ride is 1.70 pounds, which seem like reasonable prices to me. The big minus, however, is the fact that you need to have the exact change for the driver, as he/she cannot give you any change back. So, needless to say, this was a slight hassle for us coming from the U.S. where we’re used to paying with card for pretty much anything (it’s a convenience). Now we were running around with a lot of change in our pockets. Part of the experience, as I like to say. I had been to Edinburgh before but it was Rickey’s first time. So, in order to cover as much ground as possible and give him a general overview of the city, we decided to purchase two sightseeing bus tickets (15 pounds each) so we could stop and get off at the most popular sites the city has to offer. Since we’d been up since 3 am, this turned out to be a good idea allowing us to get around with a plan while being able to rest our feet on the bus in-between. As you know, I like the idea of “slow travel“, ideally away from the main hustle and bustle. 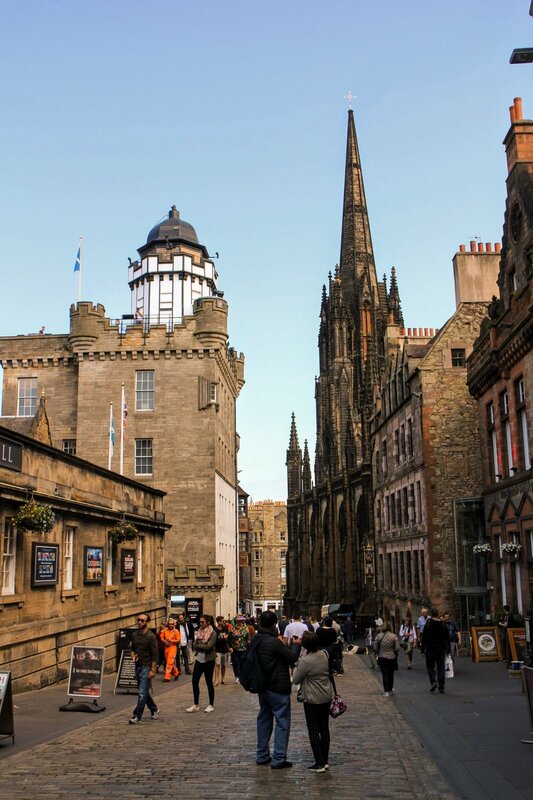 However, I also think that when visiting a historic and culturally rich city such as Edinburgh, spending a few hours to cover a handful of main sights to get a general idea is well worth the time. — Rickey tasted whiskey at one of the stores. Saw a bottle for 16,000 pounds. Mind blown. We had lunch at one of the tour guides’ pub hubs - as our friend told us later - , called The Jolly Judge. 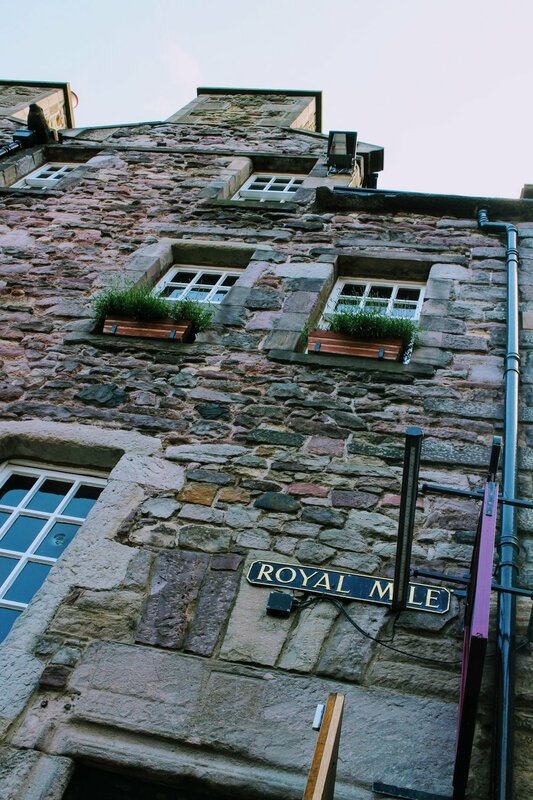 Tucked away somewhere in a little alley (or rather “close“ as they are called there) off the infamous Royal Mile, we entered a narrow basement area with Scottish charm. A rustic bar and a few tables surrounded by a thick brick wall, we ordered two simple sandwiches with chips (pardon me, crisps) on the side to hold us over until dinner time. By the time we saw the light of the day again, the sun made an appearance and almost all clouds had disappeared. Unpredictable Scottish weather. Just my thing. We continued our tour around the city and eventually ended up at the Waverly Café. Maybe you know that I have this thing for cute, local, independent coffee stands (the smaller, the better). It was right by the central Waverly Train Station off Princes Street. I had the best white hot chocolate and Rickey treated himself to a nutella mocha. I definitely recommend to stop by for a sweet (caffeine) fix if you are in town. This might just be the smallest coffee place I have ever seen. In the late afternoon, tiredness was kicking in and we decided that it was time to head back to our apartment. We had an active first day and an exciting trip to the Scottish highlands coming up early the next day. I cannot wait to share more on that with you. Spoiler alert: The landscape is just breathtaking. The nice thing about an Airbnb is that it always allows me to feel more local. At a local grocery store, we grabbed some pasta for dinner, some snacks for our trip the next day, as well as some cereal and milk for breakfast and got comfortable “at home“. Our friend came over for a couple hours - we hadn’t seen her for almost 9 months - and then we called it an early night, excited for the following few days on Scottish ground. 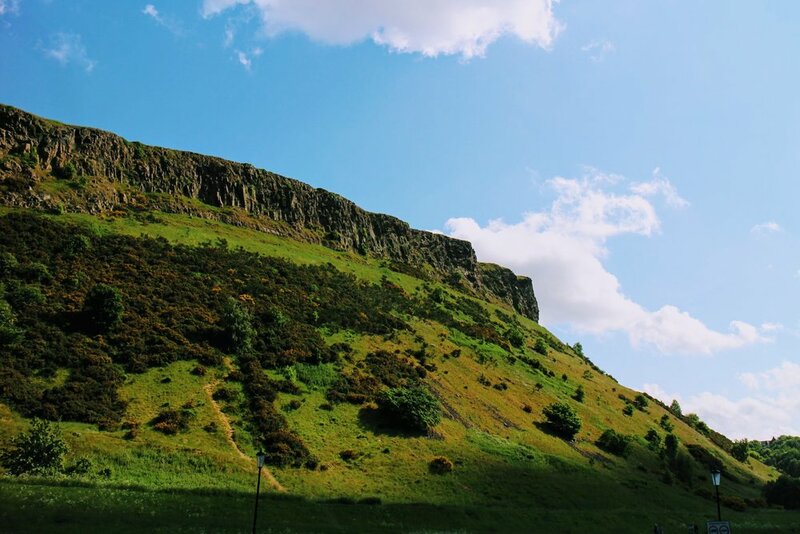 If you are curious to read more about Edinburgh and my former trips there, find the geotag “Edinburgh“ on the Destinations map for older posts. Are you tagging along on Instagram, and Twitter yet? Sign up for the newsletter below!